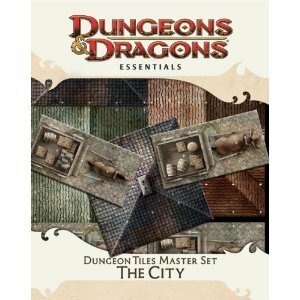 Win a D&D Essentials Monster Vault! And a little late here with the winner of the contest, but here goes….. Drum roll please…… out of all the comments posted here, and all of the entries on twitter….. the winner (via random.org) is………….. Deadorcs!! ta-da!! (submitted on Dec 7, 2010 @ 8:54). Congrats to deadorcs, and this was one of the most successful giveaways so far, so a big thanks to Gator Games. And that’s it for the year… What? Not enough free stuff for ya’?! Here we go with our last giveaway of the year, and it’s a big one! Every DM needs monsters, right? Well, then how does a free copy of the D&D Essentials Monster Vault sound? Yeah, I know, sounds frigging fantastic! All you have to do is leave a comment here on the blog letting us know that its an entry for the contest, or send us a tweet with the same message, and that’s it! On twitter you have to reach out to @newbiedm and @gatorgames. It seems that Gator Games is feeling the holiday spirit, why else would they keep hooking up gamers with these crazy giveaways? This contest tuns until Sunday, December 12th and is open to residents of the US and Canada. Now go visit Gator Games, will ya? ← 4e Home Encounters is open for business! This is an entry! Woo Monster Vault! a local game store that’s actually local? and here i was thinking that i’d have to keep going to games of berkeley if i wanted to get anything! Want! *ahem* Yeah, I am very interested in this product. I’ve been wanting this. Consider me entered. You now have my entry. Thank you. Please consider this a Canadian entry, eh? Monsters Rule! Man, this would be awesome to go with the other essentials books I’ve been getting. I’ve been hearing so much about the MV, sounds like an awesome product to have. w00t! Would love to win this! Yes! Please rush me my FREE Monster Vault! WooHoo! Consider this my entry! Monster Vault FTW! I want to win me some Monster Vault! This is an entry! Ah! So excited! this is an entry by me! yay for Canada friendly contests! I have been impressed by what I have seen thus far from the Monster Vault. I can only hope that Lady Luck smiles upon my entry. Please consider this an entry into said giveaway! Count this as an entry please. I wanna it soooo much. Err, people from Brazil could win? This is an entry into the contest. Thank you for holding the giveaways! With this reply, I wish to enter the contest, and WIN! Count me in too! Thanks! Here is my entry for the Monster Vault contest. Here is my entry to the Monster Vault Contest. Here is my entry for the Monster Vault. This is my entry for the Monster Vault giveaway! This is an official entry to win the Monster Vault. Also, I like your blog. Who can say no to monsters!?!?! This here sir is an entry for that dandy giveaway of that there Monster Vault! I got’sta have me some more critters! Ah ha! Ah ha! This is an entry for contest that is for Vault of Monsters! Ah ha! Ah ha! Love your blog and am loving the Essentials products. Free Monster Vault? Yes please! Sounds fantastic! 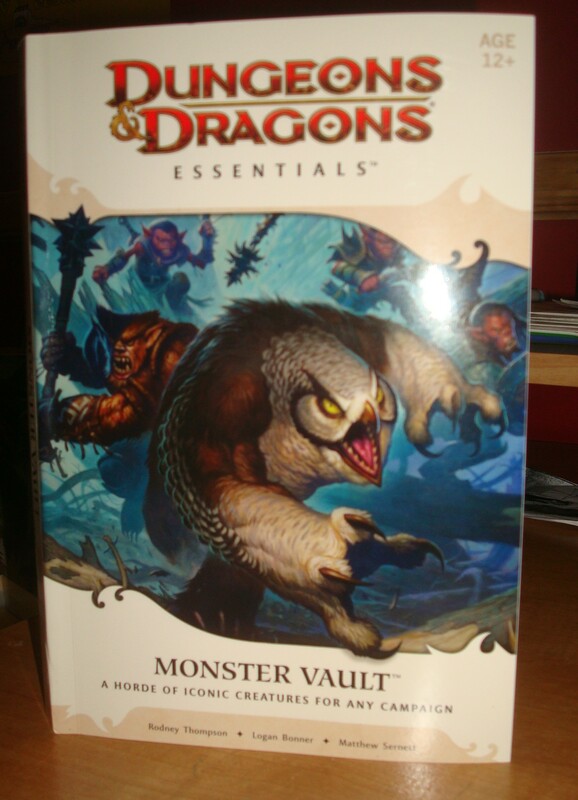 I’ve been wanting to get a copy of the Monster Vault, so here’s my entry for the give away. Much thanks to Gator Games for the prize support! This is most definitely an entry for the contest. Yes please. Owlbear’s are definitely a christmas kind of monster. This is my entry. Thanks! Here is the part where I ask you to enter me in the contest. I’d love to have an extra set of Monster Tokens, Maps, and another book to give to my son. Entry for the monster vault! I could certainly use a Monster Vault. And it also sounds like a good dungeon name. I hereby enter the constest to win a Monster Vault. I really could use to win this. I don’t have any monsters to throw at my players. I’d love me one of those Monster Vaults! Thanks, newbie, for the contests and all the great content! I like monsters! I’d like Monster Vault, too. Enter me plz. Like that this is open to Canadians. This comment is an entry for this amazing Monster Vault contest. Fingers crossed! This is a Monster Vault entry! Entry into contest. Have a merry Christmas. Monster Vault Contest, I AM IN YOU! This is an entry. Whoo! Entry into the contest. Thanks for the opportunity! This is an ENTRY for this CONTEST! Free Monster Vault for me please! Hurray for the Monster Vault! And hurray for Newbie DM and Gator Games! Hey, thanks eh! I’d like to take part in your contest, you hosers! So totally entered! the grasshopper would love playing with the tokens, and it would give me a good one-off for a game day at the local library. Too good to pass up! Enter me, please! For Tokens and an awesome book? Enter me! Would love one! Count me in please. This is my entry. FTW! Also, you do a fantastic job talking about 4e and have so many ideas. I love the Home Encounters program and there have been so many things that have come up in my regular game that I have anticipated because of newbiedm. Thanks for everything and keep up the great work! Count me in for this!! Oh heck yeah, I want this! That collection is fantastic. My group could certainly use another one of these. Thanks! This is an entry! One of the guys I play Encounters with bought this, it looks pretty amazing, I’d love to have one. I’d love a Monster Vault! Sign me up! Enter me in this giveaway! W00t! Thanks! Have a happy holidays too. This is my entry for “Win a D&D Essentials Monster Vault!” because I want to win a D&D Essentials Monster Vault. See, my last comment that announced my victory must have somehow been overlooked. So I am forced by circumstance to once again disappoint everybody else by participating in the contest, and thus winning it. Sorry guys. I like to enter contests! This is my entry into the contest. I would love a copy of Monster Vault; tokens FTW. Winning this contest would be an enjoyable thing. This is me, throwing my proverbial hat into the proverbial entry ring! Would love to get my hands on the MV! add me to the Monster Vault giveaway! gonna win it this time! This is an entry!!! drool…. want…. This is so my entry! Show me what these Essentials are all about! One! One more entry for this contest, ah ha ha ha! Sorry, channeling the Count. It’s cold up here in Canada! Hooray! Count me in Newbie and GatorGames! I would like to enter!!! Count this as my entry. I would LOVE to win this set, the book, the tokens, the map(s), yes please! Please enter me in the drawing. And thank you Gator Games & Hobby for doing stuff like this! It is FLGS like you guys that keep this hobby alive and kicking! Please enter me. I need some new monsta’s! I would love to win this! I shall enter. I am a literal newbie DM and this is my entry. And Gator Games is my FLGS! Also, how sweet is that bugbear? This is an entry (please). And w00t for brick & mortar FLGSs. I’m a newer DM, starting a new-player Encounters game at my local store as well as a campaign on the side for more regular players. The Monster Vault would be great for filling out my adventures with well-designed obstacles for my players. Sign me up for de MV! Here is my entry in honor of the greater western PA gamers. Long live SAGA. May the monsters be slain. Sign me up for the moster vault. Great giveaway Monsters for the holidays. This is an entry, I believe. Been dying to check this out, this is most certainly an entry. Please add my entry to the list ! thank you ! Give me monsters or give me death! Ooohh.. The Monster Vault, eh?? You should throw this Canadian gamer some monstery love. Sign me up please! Can’t pass this up — please enter me in this! count me in. I’d love to enter. This is my official Newbie DM Monster Vault giveaway entry. I think that it is Essential that I enter this contest. More monsters – good. I need this. My players are tired from fighting fluffy bunnies all day every day! Don’t believe me? Look at the bones, man! Look at the bones! Those are no ordinary bunnies. I definitely want this! Thank you Gator Games! Entry here, more monsters from the vault please! Woot for Gator Games! Ah, this will be perfect for my campaign. Sounds good! This is an entry for the contest. Yes sign me up for the Monster Vault contest. Please! I would sure like to win this!!!! This is an entry. Thanks for the contest. Santa, I would really like to have one of those for Christmas! Enter me up for some Monster Vault! Please please! Count me in! Consider me entered for the monster vault!! Wow, brilliant offer guys! Count this as my entry for the monster vault! Monsters? In a Vault? And you’re just giving this away? Well, count me in! Can I haz monster vault? Whoa. That’s a lot of entries. But I’ll throw my name in the hat too. Sure, I’ll throw my hat in too. This is one of the things I’ve been waiting for for a while. Woot! << I've got a golden ticket! Enter me please! Your great review of this product convinced me that it’s a must have for my new DMing ventures. I’d love a vault full of monsters! I am actually a new DM (former player, from years and years ago) and just introduced my seven year old to the game using the new Red Box. Please enter me into the drawing – I could really use the monster vault to start building on the Red Box I already have. I’m in! Way to be awesome with all these contests! Enter me as well. Keep up the great work! I like free things. Keep up the good work Newbie! I’d like this to be one of my gifts for christmas. This would make an awesome gift for a fellow DM. Yay for being open to Canadians! I would love a monster vault. Entering! The more monsters, the merrier! entry. I want some monster skulls! I need a Monster Vault! It’s my birthday! Please send me a monste vault!